Heiser Chevrolet announced that it is partnering with Toys for Tots to help make the holidays special for Milwaukee children in need. The program is part of Heiser Automotive Group’s “Anything is Possible” community outreach and an extension of the Chevy “Giving More” campaign that wraps up the calendar year.Efforts such as these deliver a message of hope to needy youngsters. Toys for Tots donations can be dropped off at the Heiser Chevrolet location in West Allis beginning today. The goal is to collect new, unwrapped toys to distribute as Christmas gifts to children in the community.Heiser Chevrolet realizes many people are looking for a way to celebrate the season by giving back and wants to help in facilitating those efforts. 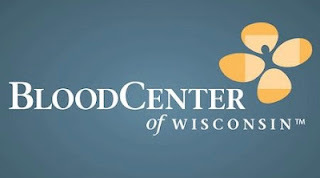 Food drive donations can be dropped off at the Heiser Toyota location in Milwaukee beginning today. The goal is to collect enough food to fill all the bins located throughout the building.Heiser Toyota realizes many people are looking for a way to celebrate the season by giving back and wants to help in facilitating those efforts. We are closed on Thanksgiving, but make sure you check out Heiser's Black Friday deals. From my family to yours, we hope you have a great Thanksgiving! Glendale, WI, November 16th, 2012- Heiser Automotive Group announced today that it has won the “Best of Milwaukee, Best Domestic Dealership” award for 2012. The award is given by the Shepherd Express and is voted on by its readers.It recognizes excellent service to the Milwaukee community. The Shepherd Express presented the 22nd annual Best of Milwaukee Readers' Choice Awards Tuesday evening.The publication had readers select their favorite people and places. Votes were tallied for restaurants, bars, salons, retails shops (including car dealerships), bookstores and coffee shops. This represents the longest-running readers’ choice poll in the city.